In our rapidly evolving scientific landscape, the complexity of the Food and Drug Administration’s primary charge—to safeguard the health and well-being of the public through the application of scientifically sound regulatory activities—is constantly being challenged. The CERSI program was created to provide institutions with a valued opportunity to work directly with regulators while simultaneously providing the FDA opportunities for access and exposure to advanced scientific exchange and training focused on the FDA’s priority areas. As one of the world’s leading institutions in higher education, Johns Hopkins University is pleased to collaborate with the FDA in the development of fundamental new knowledge and tools to advance regulatory science. The Johns Hopkins Center of Excellence in Regulatory Science and Innovation (JH-CERSI), in partnership with the Masters of Science in Regulatory Science and Masters of Science in Food Safety Regulation programs, is pleased to announce a writing competition to encourage students interested in the field of regulatory science. Winning papers will receive a cash prize, be publicized on the JH-CERSI website and in other regulatory science forums, and be shared with relevant leadership within the Food and Drug Administration (FDA). Entrants must be currently enrolled in the Masters of Science in Regulatory Science or Masters of Science in Food Safety Regulation at Johns Hopkins University. For more information, please see the Official 2019 Writing Competition Guidelines. Click here to view our winners from previous years. To receive updates on events, seminars, workshops and more, press the button below or email cersi@jhu.edu to be added to the listserv. Strategically focused efforts pertaining to regulatory science. State-of-the-art tools and methods to support regulatory science. The Center for Clinical Trials is devoted to the promotion of clinical trials to evaluate preventive, therapeutic and diagnostic health interventions. The United States Cochrane Center is dedicated to promoting awareness of the Cochrane Collaboration and its objectives and access to the Cochrane Library in the United States. 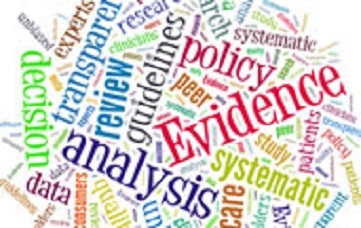 The Evidence-based Practice Center produces comprehensive systematic reviews of important medical topics using interdisciplinary teams that integrate clinical expertise with expertise in evidence-based methods. The Global Institute for Tobacco Control works to prevent death and disease from tobacco products by generating evidence to support effective tobacco control interventions. The Center for Drug Safety and Effectiveness seeks to improve the safe and effective use of medications by bringing together researchers at Johns Hopkins to accomplish a fourfold mission – training, research, patient care and public service – towards best medication practices. 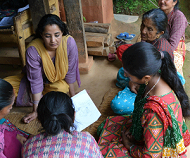 The Center for Communication Programs focuses on inspiring health behaviors worldwide through social and behavior change communication, knowledge management, capacity strengthening, and research and evaluation. The Center for a Livable Future works to promote, develop and communicate information about the complex interrelationships among diet, food production, environment and health, to advance an ecological perspective in reducing threats to public health and to promote policies that protect health, the global environment and the ability to sustain life.